Nothing too special here; a conventional action thriller borrowing themes from Hollywood hit The Bodyguard. 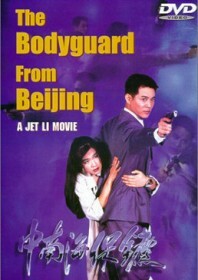 Jet Li is the titular bodyguard who is sent to Hong Kong to protect a key witness in a murder trial (played by Christy Chung), who subsequently tops every assassin’s hit-list in the run up to her day in court. A relationship blossoms between protector and protected, but it’s nothing to get too excited about. Similar to the action, which consists mostly of stylised gunfights.